Hello! Today I have the February MeeBox to share with you (see January's here). February's theme was 'Look Book', and was curated by Nails by Mets in a special MeeBox collaboration. I'm not really one to follow fashion trends, so I honestly had no idea what sort of things to expect from this box. 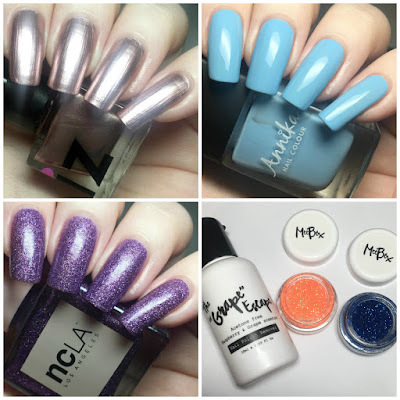 Read on to see everything we recieved and for my full swatches! 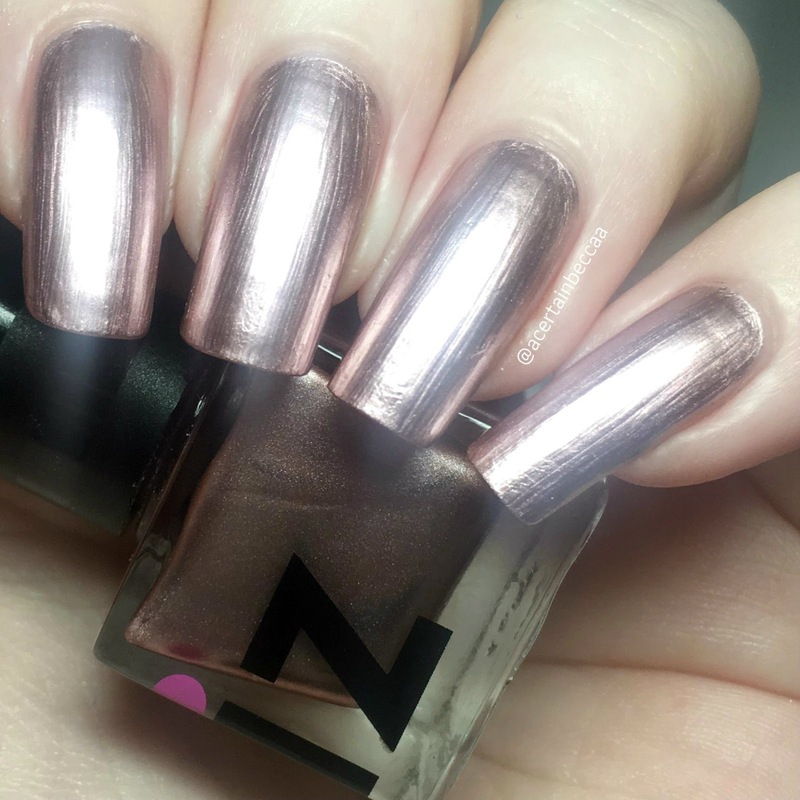 First up for polishes is iZ Beauty of London 'Ball Gown', a rose gold chrome. 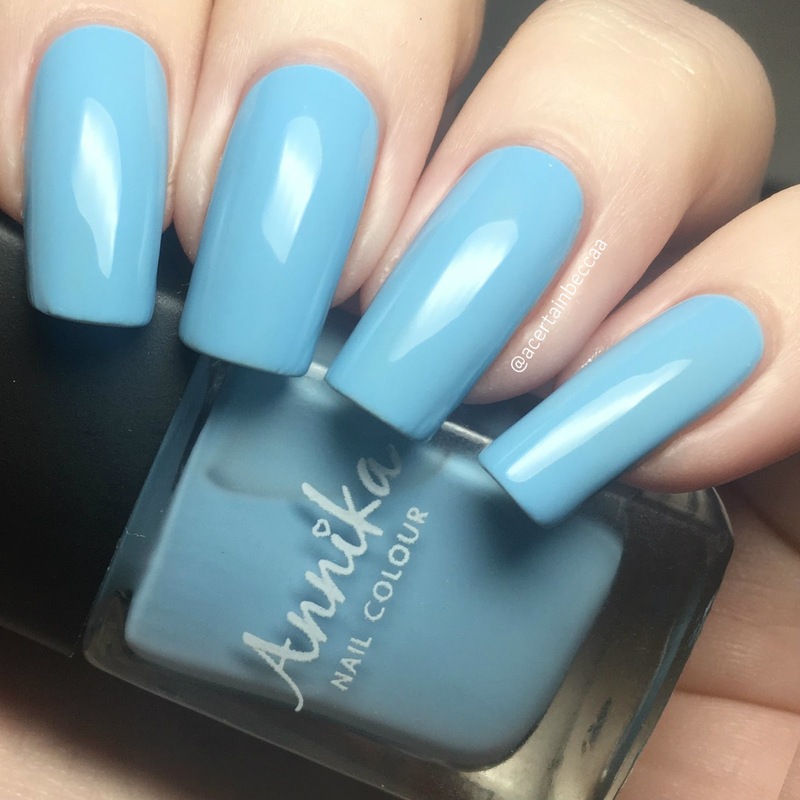 This has a lovely, smooth, easy to apply formula and good opacity. I had a couple of lighter patches after my first coat, although I think it could be a one coater if applied slightly thicker. Due to the finish, this does have brushstrokes/show ridges. It's also very reflective! Below is two coats with topcoat. Next is Annika (by The Edge Nails) 'Pool Party', a baby blue. I found this to be more of a crelly so it does start off sheer, although has a nice formula and builds up well in three coats. It dries lovely and glossy. Below is three coats with topcoat. 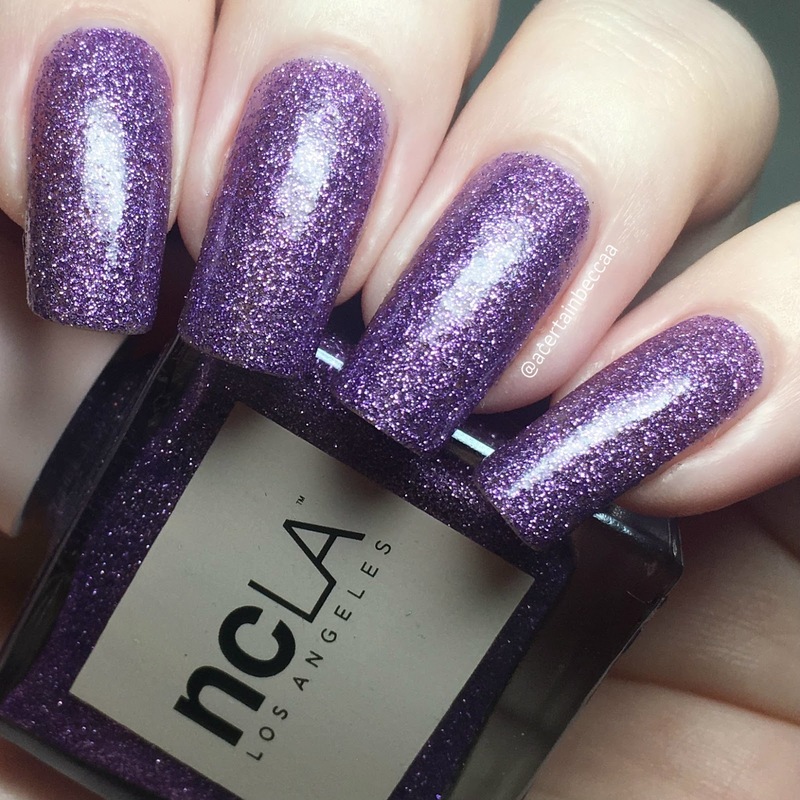 Our last polish this month is NCLA 'Let's Go Party', a bright purple full coverage microglitter. I believe this was a MeeBox exclusive (or early sneak peek), as it was yet to be released when our boxes arrived. 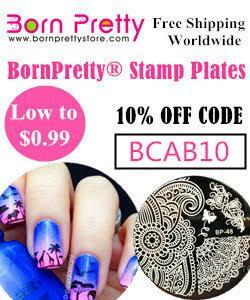 It is smooth and easy to apply, and fully opaque after three coats. Below is three coats with topcoat. The rest of our goodies this month are all from the MeeBox ladies themselves. We were given a bottle of their acetone free 'Grape Escape' remover, which we have recieved twice previously. We also have two pots of loose glitter - 'Claudia', a bright orange and gold mix, and 'Naomi', a blue mix. What do you think? As mentioned earlier, I had no idea what to expect for this months box, so I can't really comment on anything fitting the theme. All three polishes have lovely formulas though, and are all from brands that have featured in MeeBox numerous times. It's also nice to see MeeBox branching out their own range of products.